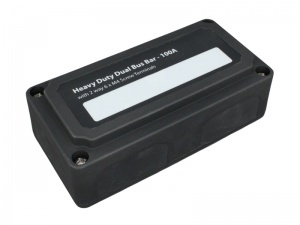 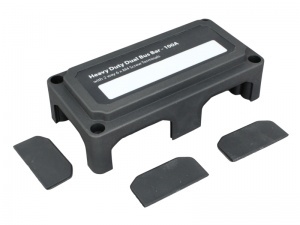 A superbly designed and constructed 100A dual busbar terminal box. 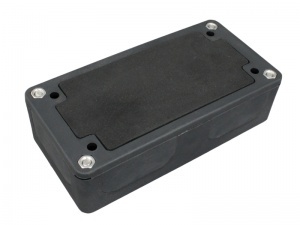 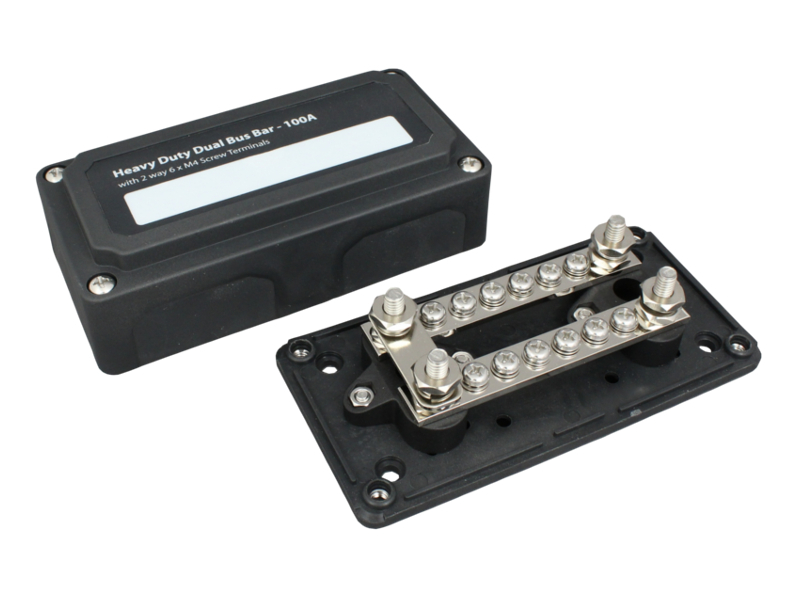 This heavy duty enclosure is extremely rugged and well protected and contains twin 6-way busbars with 4mm screw terminals for power distribution and four 6mm stud terminals for the main power connections. 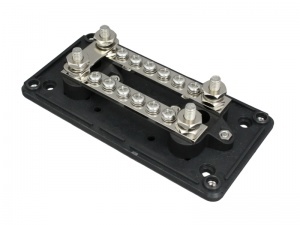 The two busbars can be commoned using the linking bar to provide 12-terminals in total, or the bar can be removed if, for example, you want to distribute power on one busbar and consolidate ground connections on the other.